When you hear the words “Mexican liquor”, you might imagine a crisp beer or an indulgent margarita. But how do you choose? Well, now there’s no need to with this Corona Cocktail – the ultimate mash up! You might think beer is just for summer, but when you’re heating up the dinner table with authentic Mexican fare, a chilled beer is the perfect complement to the warmth of your meal. This Corona Cocktail gives you the best of all the beverage worlds in one glass. Corona is on special for the month of July at Aztec Mexican Products and Liquor, so you can stock up on this flavour-filled Mexican beer and have loads of fun creating interesting variations on cocktails of all types. Just like this Corona Cocktail – the ideal solution for those who can’t decide between a laid back beer and an exciting margarita cocktail. So jump into your liquor collection, slice up the limes, and mix it up with a unique drink. 1. Dip the rim of the serving glass with salt (if you’re using it). 3. Pour the tequila, Cointreau/Triple Sec, and lime juice into the glass and mix. 4. Add your bottle of Corona beer to the mix (upside down complete with bottle). 5. Add a lime wedge to the glass for garnish. 6. Serve with your favourite Mexican dish! 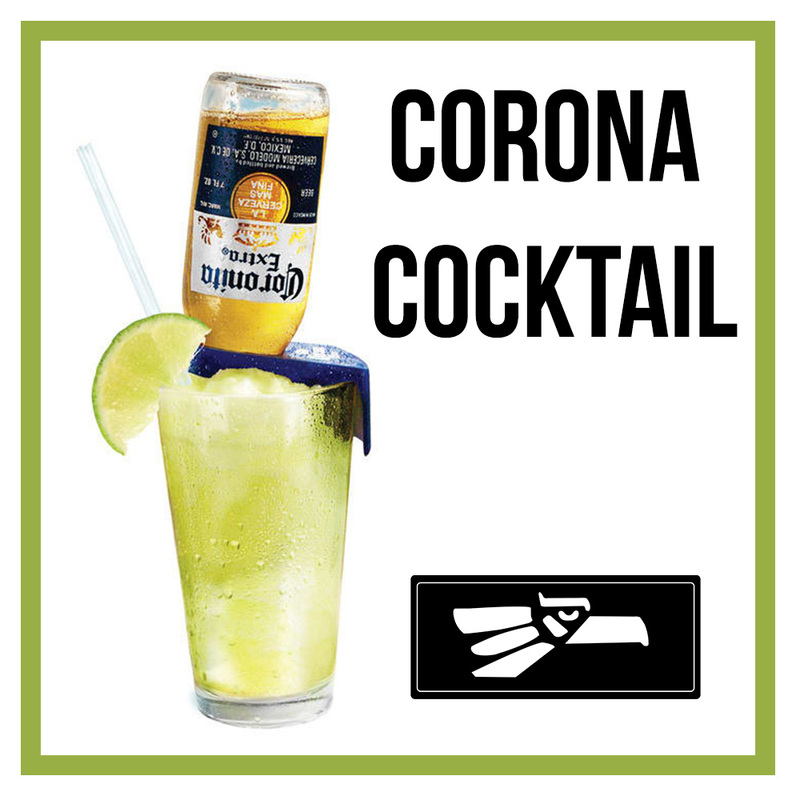 We know you’ll love this Corona Cocktail as much as we do. If you are looking to fill the cabinet with some Mexican liquor, or fill the drinks fridge with classic Mexican beer, you’ll find it at Aztec Mexican Products and Liquor. Our online grocery store gives you all of the staples you need to host a wonderful dinner party and test out your culinary skills on friends, while our online liquor store adds the fun.